You are a fan of Snake game? You want to playSnake in your smart phone like you used to playing on feature phonein the year 1997? And you think you are good at Snake game? Two Snakes will makeyou think again and be excited! 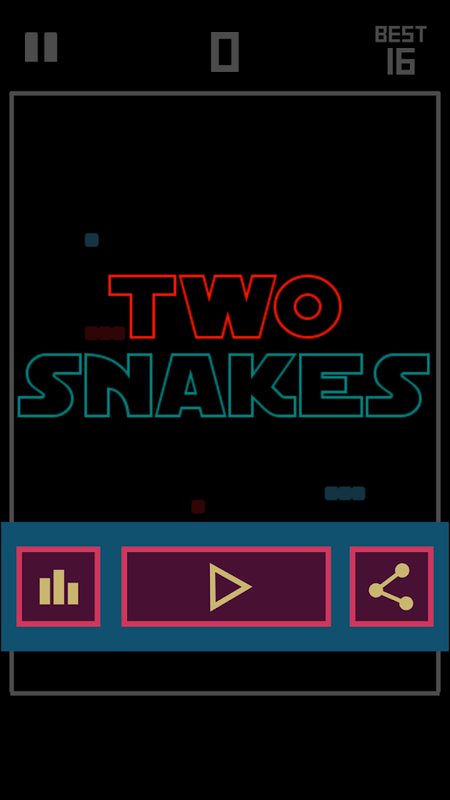 Two Snakes is much more challenging than original snakegame! In snake game, you just control a snake. But in Two Snakes, youhave to control two snakes at the same time! -Tap the two footer buttons to control the snake of samecolor. Compete with your friends and people all over the word for highranking. Difficult, huh!? Practice and prove you are the master of the twosnakes. Up (Vút bay) được phát triển và xây dựng bởi nhóm Tadah tại HàNội.Với lối chơi mới là sử dụng các âm thanh khác nhau (bao gồm cảgiọng nói) để điều khiển nhân vật bí ngô để có thể bay lên và vượtqua các chướng ngại vật là những con dơi khó tính. Phong cách thiếtkế và phát triển game đơn giản, không có nhiều màn chơi mà thay vàođó là một màn chơi vô tận. Để ganh đua với bạn bè, hãy cùng thử xembạn sẽ đạt được bao nhiêu điểm ở trò chơi đơn giản và thú vị này?Hãy cùng chia sẻ với bạn bè điểm cao thông qua mạng xã hội Facebookđể cùng nhau khiến game trở nên thú vị hơn!Không giống với các game hiện tại trên thị trường là dùng ngóntay để tap (chạm) vào màn hình, UP sử dụng âm thanh làm điểm nhấncho game. Là game mobile duy nhất trên thị trường sử dụng âm thanhđể điều khiển nhân vật, UP đồng thời cũng là sân chơi sáng tạo dànhcho các game thủ có thể vừa ghi được điểm cao, vừa tạo ra đượcnhiều âm thanh tuyệt vời. Hãy tưởng tượng bạn có thể huýt sáo, hát,la hét, hay thậm chị là cười để chơi game thì không còn điều gìtuyệt vời bằng.Hãy vút bay cùng những trải nghiệm cực cool trong game bạn nhé!Up (Fly)was developed and built by a group Tadah in Hanoi.With new gameplay that uses different sound (including voice) tocontrol pumpkin character to be able to fly up and overcome theobstacles that discerning bats. Stylish design and develop a simplegame, not many scenarios, but instead is an endless game screen. Tocompete with your friends, let's try to see how much you will gainpoints in the game is simple and fun? Please share high scores withyour friends through social networking site Facebook to jointlymake the game even more exciting!Unlike current games on the market that use finger to tap(touch) on the screen, use audio UP accent for the game. As theonly mobile game market used to control sound character, UP is alsoa playground for creative gamers can record high scores, hascreated many great sounds. Imagine you can whistle, sing, scream,or maybe she was laughing so gaming is no longer something amazingby.Please soar with cool experience in the game will you do? 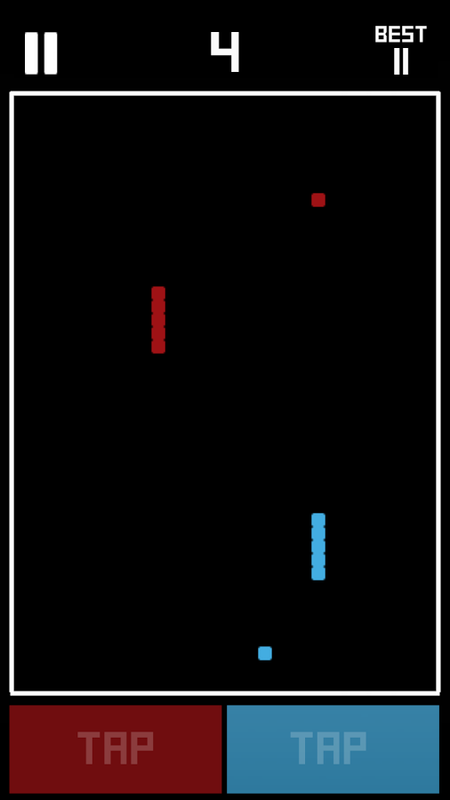 How fast you are?Choose the color of bar that match the dropping blocks to avoid itbroken.The more you get higher score the more you get fun.Challenge yourself and friends.Features :• Beautiful graphics interface.• Easy to play but hard to master.• Compare your best score with friends.• Beautiful music and sound effect. Chúng tôi tin rằng không gì có thể thay thếtrò chuyện trực tiếp để cải thiện kỹ năng giao tiếp tiếng anh củabạn.Ở HellolingoLite với 20s bạn sẽ có 1 người bạn khác quốc gia đểcùng trò chuyện, cùng rèn luyện các kỹ năng tiếng anh.Với những mẫu câu tiếng anh giao tiếp thông dụng và chức năng dịchvăn bản sẽ giúp bạn trò chuyện tốt hơn.Bên cạnh đó bạn cũng có thể xem lịch sử trò chuyện của mình để theodõi sự tiến bộ.We believe that nothingcan replace direct conversation skills to improve your Englishcommunication.In 20 seconds you will have HellolingoLite with one other friendcountries to talk, and practice his language skills.With English phrases commonly used communication and texttranslation function will help you better talk.Besides that you can also view your chat history to trackprogress. * STAY OUT ALL WHAT IS DANGEROUS FOR YOU *When the world is threatened by the evil monster, only a herocan stand up fighting against all. That is Crund - a cute monsteruncle but also extremely brave.Joining Crund to adventure around the world, explore themysterious ordeal and bring peace to Earth.Not only that, you can also collect gold coins to owning thecostumes from famous people with great strength, increased powerfor Crund and destroy the scary monsters.With 20 screens and simple gameplay. Easy to play but hard towin. Will you be able to complete the mission and save the world. (It is not easy ..! )KEY FEATURES:* 20 screen play hard. * 05 costumes hidden the extraordinary strength. * Gameplay simple one-touch format. * Stage Vietnamese easy to use interface. * Easy to play but hard to win. * Collect the gold coins to unlock hidden features. * Monsters diversity impress players. * Capacity mystery. * Transportation takes you to different positions.If you want to be more challenging to discover or have anyquestions? Talk to us. No time to hesitate, you run or you disappear.You will know about Noah, you will know about the tsunami.Experience a story becomes a reality in Noah Running. It's a longway to run, a long way to escape.• Enjoy the thrilling elements in the game.• Perform the correct action to overcome or to break down theobstacles and pave the way for Noah• Run through the region is full of surprises, secrets andobstacles difficult: Dark Forest, Valley, caves ... with uniqueanimals. PIRATES SAGAWant to become a real pirate?You feel excited when thinking and strategic thinking about theoffensive and defensive?So Pirates Saga is a great game for you!Pirates Saga - game system with unique puzzles on ambush tactics atsea: Dominating waters, destroy all the enemies by dragging themhit by rocks or beaten with other people. * With various difficulty levels and increases the player's lever.Overcoming these challenges is what you get it is: THE KING OFPIRATES. * Pirates play like?- This exciting game will take you to the 7 seas and 100 levelsgradually increase, you will have the chance to face manychallenges in order to complete each level.- You have to "fight" with 5 enemies with different AI.- When you are in danger, not fear, there will be a lot of peopleto support you through any challenge.Pirates - easily - simple - smart! Do you like the old school snake '97 or even the classic snake 2game? Or you like the doodle snake and the glow snake games? 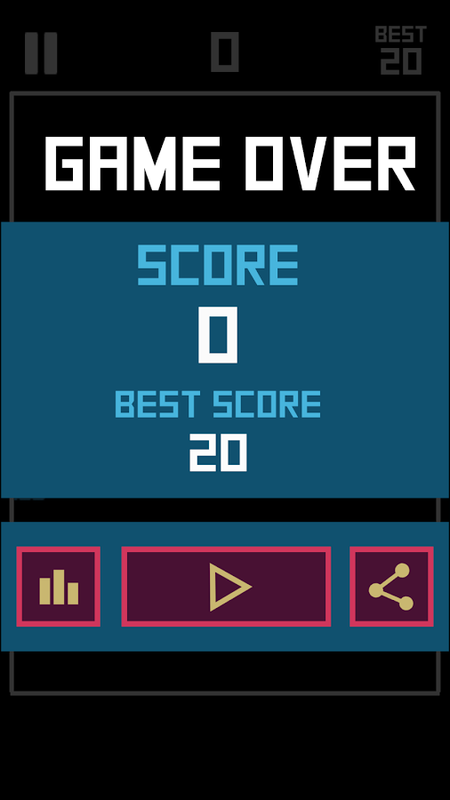 Thisis a remake of classic snake game for android.With Levels,achievements and a global and local high scores leaderboard.Playthis Snake game for free! Description Snake!Snake!Snake!is more than a classic snake gamesince it contains a variety of game modes, and it will absolutlygive you an entirely new experience of fun.= Why does everyone likeSnake.Snake.Snake= -Completely free. -The best operation experienceever to play snake. -The three most exciting modes,classic, arcadeand endless will absolutly bring you a lot of fun and take you manychallenges. -You can not stop to challenging yourselves andimproving your scores. -You can share your scores on Facebook andcompete with your friends all over the world.What do you think ofSnake!Snake!Snake! ? just try，and play with your friends. You'regonna to love it.If you have questions or encounter any goodsuggestions, please send an email to [email protected] Let usplay the game! ****************Dear ：It's exciting to seesanke!snake!snake! bacome popular ,It' s far beyond myexpection,thank for you guys.I played snake firstly on a prettygirl's Nokia Phone when I was a handsome boySadly,I have onlyremembered the game but her name nowI design snake!snake!snake tomemory those past days and this lovely game.I'm sorry to see thatthere're some bad experience in the lovely game,and I'm trying mybest to fix them.If you are good at coding,please contact me.Mytwitter is:https://twitter.com/snake_funI'll release a new versionto imprive operating experience this week，hope to hear yoursurpport for me.Your support would make me a cute and confidentman,you know how much i need you. Snake in a Maze.Is this the best snake game ever made? Probablynot, but it's good.A follow up to the classic snake puzzle game PacSnake, with 3D Graphics.Take Snake, put him in a 3D Maze, andyou've got Snake In A Maze.If you love puzzle, snake or maze games,you will love it.A Classic 3D Snake Maze Puzzle game.It's a SnakeGame, It's a Puzzle Game, It's Snake In A Maze. It's 3D.If you loveclassic games maze games, you will love Snake in a Maze.